Pallabika Ganguly and Ravi Samalad (ML): What are your investment plans for India? What, according to you, are the opportunities available for an institutional real estate investment manager like Blumberg in this country? Philip F Blumberg (PB): We are looking at opportunities in developed commercial office space in Tier I cities, but at present we are more concerned about the regulations. Once the new real-estate regulations are implemented, then we will surely invest in India. If laws are changed, we will create more India-focused funds. There are many investors like large pension funds in the Netherlands, insurance companies and banks in Germany, public funds in the United States and innumerable foreign and high net-worth individuals (HNIs) in the US, who want to invest about $500 million, but they are waiting for stricter regulation to be implemented in the real-estate market. ML: How much money do you plan to raise, and what would be the route that you will take? Which other markets are you planning to invest in, other than India? PB: We are raising $1 billion for our real-estate fund and plan to raise several billion more over the next three years for a number of new funds including media and entertainment, healthcare, and merger and acquisition funds. I expect about 50% of this to come from HNIs and the rest from institutional investors. Our real-estate fund will have up to $300 million available for non-US investments including India. We are raising the capital across regions including the Middle East, Europe, Latin America, India and the Far East. ML: When do you expect your funds to start flowing into India? PB: We are currently in discussions with some big players in the Indian realty sector. We are also waiting for signals from the government in terms of tax and other regulations, so investment will start once there is a favourable situation. It will at least take a minimum of six months before we take some steps. ML: Are there any hurdles to entering the Indian realty market? PB: We cannot have full-scale operations in India mainly due to the tight regulations about foreign capital coming into India. Currently, we are only allowed to invest in projects which are three years old. The tax charges in India are fairly high. Till the time these issues are not solved, we won’t be able to invest in India. ML: What about transfer charges? PB: There are multiple transaction fees and higher taxes (in India). Lack of transparency in transfer charges is a problem in India. In most of the deals, we notice that the proposal is not the same as the law states. In the West, the fees are fixed. 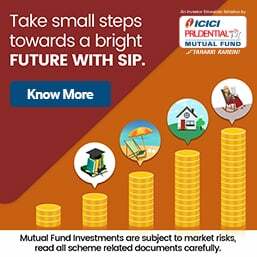 ML: In which Indian cities do you plan your investments? PB: Right now, we are looking at large-size deals in commercial spaces in New Delhi and Mumbai. We are in talks with some big players in these cities. We are also looking at investing in Tier II and Tier III cities, but we feel that there are more opportunities in Tier I cities than other cities. Tier II and Tier III cities do provide lower costs and good opportunities for growth, but the only hindrances stifling investments are government regulations. ML: What kind of deals are you striking in New Delhi and Mumbai? PB: We are looking at opportunities in investing in commercial properties. We will look at absorbing risk with (a view towards) significant returns. Our capital (investments) will carry some risk, but we do not want to invest in a building where 35% space is vacant and the other 35% is owned by tenants, who (typically) shy away during a slowdown. We follow the same procedure in the US. In the US we allow maximum 25% of the building to be owned by tenants. I will take financial risk but not operating risk. ML: During the slowdown, people were cautious. So where did investors invest their money? PB: Some investors look at lending and some look at preferred returns. In lending, we get the first 9% stake in development and we also share some percentage of profit. The other type of investment is when you get the same return as the developer. If the returns go up, you start out at the higher percentage of cash flow. If the developer makes more money, he gets the higher cash flow. This method allows us to weigh our return in the earlier part, making it safe. We mostly prefer to pick up 10% stake in a well-developed property. But at the moment, we want to wait and watch. We will take a decision after verifying how many new supplies come into the market, how transparency (improves) and how regulations affect the scenario in the real-estate market. During the week, the Indian market remained highly volatile. The Sensex managed to gain only 17 points over the entire week. It has been a frustrating wait for investors hoping for a breakout above 17,400. We may see a dip to below 16,500 before the next leg up. On Monday, 7 December 2009, the Sensex declined 118 points, ending the day at 16,983, while the Nifty declined 42 points to close at 5,067. During trading hours, finance minister Pranab Mukherjee said that the government has not issued any directive to State-run banks on consolidation and it was up to the banks themselves to decide on mergers. Reserve Bank of India deputy governor Subir Gokarn said on Saturday that a persistent rise in food prices may raise broader inflationary expectations and the central bank is looking to strike a balance between supporting growth and taming inflationary worries. The exit from an easy monetary policy is a “graded” process and economic growth alone will not determine its pace, he said. On Tuesday, 8 December 2009, the Sensex gained 245 points, ending the day at 17,228, while the Nifty closed at 5,148, up 81 points. During trading hours, the government said that it will seek Parliamentary approval to spend an extra Rs25,725 crore ($5.5 billion) for the fiscal year to end-March 2010. The gross additional expenditure would be Rs30,943 crore, of which Rs5,217 crore would be met through savings, the government said. The government will spend an extra Rs3,000 crore on fertiliser subsidies and Rs3,460 crore on food subsidies. The government would also spend Rs800 crore on an equity infusion in State-run carrier Air India. According to Mr Mukherjee, the government will complete share sales through public offers in three State companies by the end of March 2010. Divestment of 5% each in NTPC and Rural Electrification Corp and 10% in unlisted Satluj Jal Vidyut Nigam is under implementation and there is a need to adhere to fiscal prudence as early as possible, he said. As per media reports, Reserve Bank of India (RBI) governor D Subbarao said that measures to control capital inflows into India could not be ruled out in case there was a surge in foreign funds that had to be contained. The RBI governor said that he was not willing to debate at this time on the instruments or timing, as this would depend on how the situation evolves. Meanwhile, the government has partially lifted the ban on rice and wheat exports by allowing organic varieties of these grains for overseas sale, as per reports. According to the Manpower Employment Outlook Survey, India Inc is all set to step up hiring in the last quarter this fiscal as employers are more optimistic than their counterparts in other nations. The survey said brisk hiring is anticipated by Indian employers during the upcoming quarter. It further added that with 38% of employers expecting total employment to increase, 2% forecasting a decrease and 53% predicting no change, the net employment outlook is a robust 36% and once seasonal adjustment is added to the data, the outlook stands at 39%. On Wednesday, 9 December 2009, the Sensex closed at 17,125—102 points down from the previous day’s close—while the Nifty declined 36 points, ending the day at 5,112. According to Mr Mukherjee, the government does not need to borrow more than planned to fund its additional proposed expenditure. The government said on Tuesday that it would seek Parliamentary approval to spend an extra Rs25,725 crore ($5.5 billion) for the fiscal year to end-March 2010. The gross additional expenditure would be Rs30,943 crore, of which Rs5,217 crore would be met through savings, the government said. The government will spend an extra Rs3,000 crore on fertiliser subsidies and Rs3,460 crore on food subsidies. The government would also spend Rs800 crore on an equity infusion in State-run carrier Air India. Meanwhile, the RBI may reportedly ask banks to impose a ceiling on their investments in mutual funds and also prescribe norms for such investments, as it attempts to tighten rising exposure and rein in deployment of banking funds indirectly in sectors or companies to which banks could not lend directly due to exposure limits. According to data from the Society of Indian Automobile Manufacturers, car sales in India rose an annual 61% to 1,33,687 units in November 2009 over November 2008. Sales were boosted by improved consumer sentiment, easier availability of loans and a low sales base a year earlier, an industry body said. Sales of trucks and buses, a gauge of economic activity, doubled to 40,847 units in November from 20,631 a year earlier, data showed. On Thursday, 10 December 2009, the Sensex gained 64 points from the previous day’s close, ending the day at 17,189, while the Nifty closed at 5,135, up 23 points. During the day, D Subbarao said that capital flows into India are in line with requirements and as of now there is no concern of the flows building asset price bubbles. If and when there are excess capital inflows, the apex bank will have to respond to that situation, he added. After trading hours on Wednesday, RBI said that it would withdraw from 1 January 2010 some concessions on overseas borrowing for Indian firms introduced during the global credit crisis, although it also eased rules for the infrastructure and telecom sectors. A facility for Indian companies to buy back their foreign currency convertible bonds under the automatic route and approval route would be discontinued from January 2010 due to the improvement in the equity market. The central bank said that it would allow non-banking financial companies which are focused on financing infrastructure projects to borrow from overseas markets under the approval route. It also extended by a year a rule which allowed firms involved in developing integrated townships to borrow overseas. The central bank also allowed telecom firms to access overseas markets to fund their bids for 3G spectrum, effective immediately. The government plans to auction 3G spectrum in January 2010. On Friday, 11 December 2009, Indian markets came under huge selling pressure after industrial production growth—though robust at 10.3%—fell below market expectation of a growth of 13%-14% for the month. The Sensex declined 70 points from the previous day’s close, ending the day at 17,119 while the Nifty closed at 5,117, down 17 points. According to the latest data from global fund tracker EPFR Global, emerging market equity funds received $2.30 billion in inflows for the week ended 9 December 2009, bringing 2009 inflows to $75.40 billion. Emerging-market funds are heading for record annual inflows in 2009. The previous record was $54 billion in 2007. Among the largest developing nations, Russian stock funds saw inflows rise to a seven-week high of $181 million while Indian equity funds absorbed $128 million, EPFR said. As per the data released by the government, industrial output jumped 10.3% in October 2009 from a year earlier, helped by stimulus measures and robust domestic demand. Manufacturing output rose 11.1% in October 2009 from a decline of 0.6% a year earlier. September’s annual industrial growth rate was revised upward to 9.6% from 9.1% previously. Andimuthu Raja, communications minister, said that the government would conduct the auction for 3G wireless spectrum as scheduled. The auctions are slated to be conducted on 14 January 2010. The deluge of schemes offered by mutual fund houses, insurance companies and other financial services providers have only served to confuse investors rather than easing their troubled minds. Various schemes with colourful names have been vying for investors’ attention, without actually offering a glimpse of respectable returns on investment. While returns have been scant at best, product offerings have adopted fancier propositions, with service providers desperate to sell at all costs. What is compromised is the investors’ real need. The latest example is a brand new offering from MetLife India. 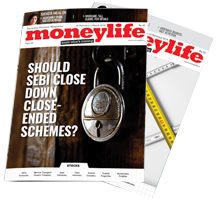 Its product, MetLife Wealth Plus, is another unit-linked offering that claims to provide a cost-effective wealth-creation solution for customers. But MetLife, which positions itself as a one-stop-shop for all customer needs, has trouble distinguishing which products serve what particular needs of the customer and how its offering meets those needs. MetLife’s sales strategy is a testimony to this. Moneylife Digital has seen an internal presentation that shows how agents and sales teams are indoctrinated in selling unit-linked insurance plans (ULIPs) by highlighting the positive aspects, running down a competing product and presenting some half-truths. The presentation is in the form of check boxes under which mutual funds are shown as products designed to meet the short-term savings needs of the customer. Even lay investors would be aware that mutual funds are meant to provide capital appreciation over the medium- to long-term. Also, while MetLife considers ULIPs not to be cost-effective, as per its internal presentation, it still argues that MetLife Wealth Plus is cost-effective, while the product is just another ULIP. The presentation does not explain how this is so. The Met Wealth Plus plan claims to be cost-effective while providing good returns, liquidity and tax benefits to the customer. Add to this, it offers a guaranteed minimum return of 5%, five years from the end of the subscription period. This is only designed to meet the widespread customer worry about the safety of the principal amount. Of course, even when the product claims to provide a liquid and cost-effective avenue of investment, the costs associated with surrendering the policy are quite high, if one has not paid the requisite annualised premiums. This is not highlighted in the presentation, but the guarantee is. The guaranteed return also tilts the field against a better investment product, mutual funds. The current perverse regulations allow insurance companies to provide a guarantee on ULIP products but mutual fund schemes have not yet been given such leeway. Customers easily fall for this ploy, without realising that this really means little to two products both of which would have the same stock market exposure. Despite repeated efforts, we could not get MetLife to respond to this story. I had some bitter experience with Metlife, that initially I preferred for a single term policy but issued with a term policy. Further on querying about the mismatch of my needs they simply evaded my question with a standard answer that the free-look periode over even they had committed several mistakes in the processing of related documents. On being asked for surrender benefit as per the policy terms and conditions, in which some literary mistake/omission committed by the company, they cleverly said that it will be read as conversely though the policy terms and conditions is an indemnified one. The IRDA also becomes a mere spectator as well as the insurance ombudsman who rejected my complaint merely stating that it is not coming in to his purview. The ombudsman till date not replied my mail for the exact reason to reject my complaint. If this the situation where will be end answer for such fraudulent business practices. For the past two years I am fighting with the company for surrender benefit as p[er the terms and conditions. In my case, I was thankful to insurance company for pathetic customer service (not even sending the policy document on time), which led me to cancel the policy as soon as I received it. Cheers! I have been thru this farce. In my case it was Tata-AIG that I got wacked by and the benificiary was my Banker, HSBC, who had hawked the ULIP. It seems the the scam was imported by the US counterparts whose names appear to give a sense of honest dealings - and we fall for the farang names and never read the very fine print. Is it a wonder that they think India is "untapped" .